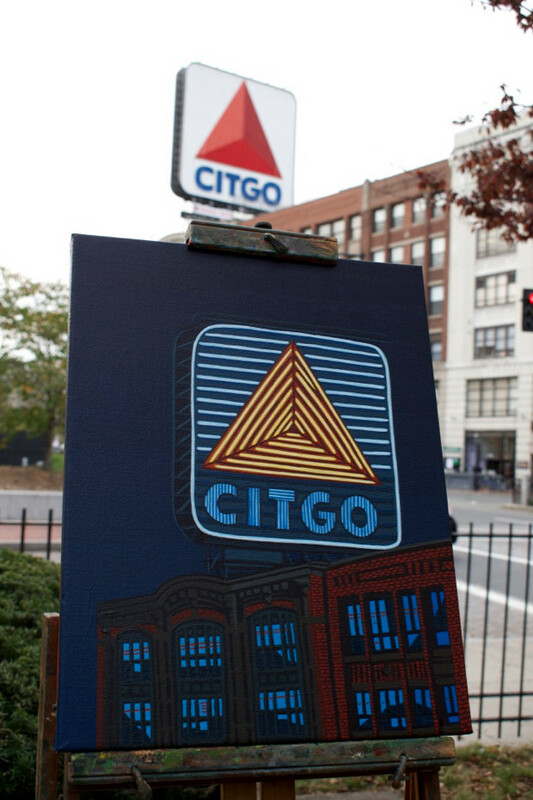 My buddy Borbay was in town for a couple of reasons, one of them was to paint the CITGO, so I joined him. 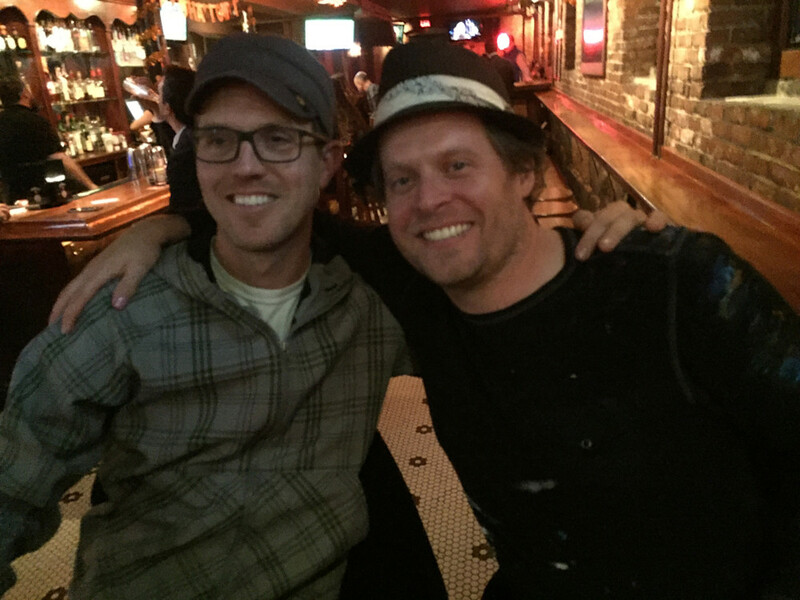 We met up the night before to have our strategic business meeting at the Corner Tavern where a few beers were had. 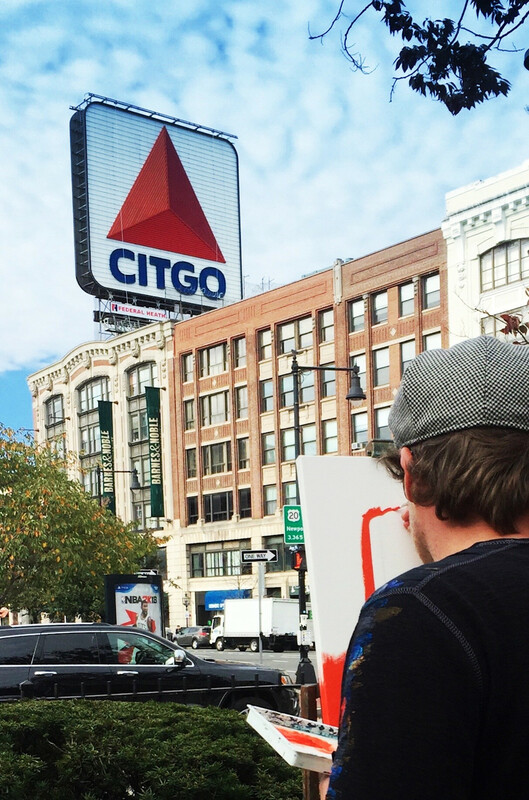 We started at 11am, and Borbay got started straight away on the CITGO, setting up the structure for what would be one of his neon classics. 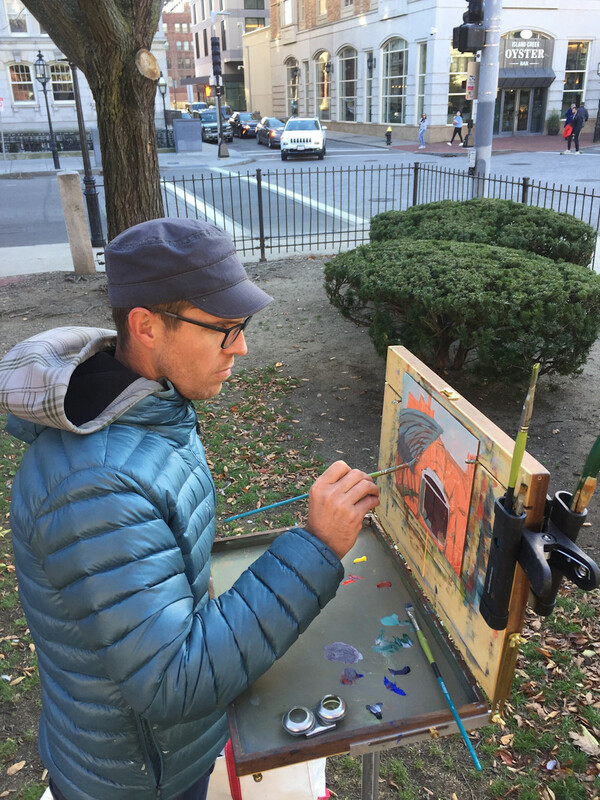 I, as a painter in oils, have a different style (alla prima, if you're curious). 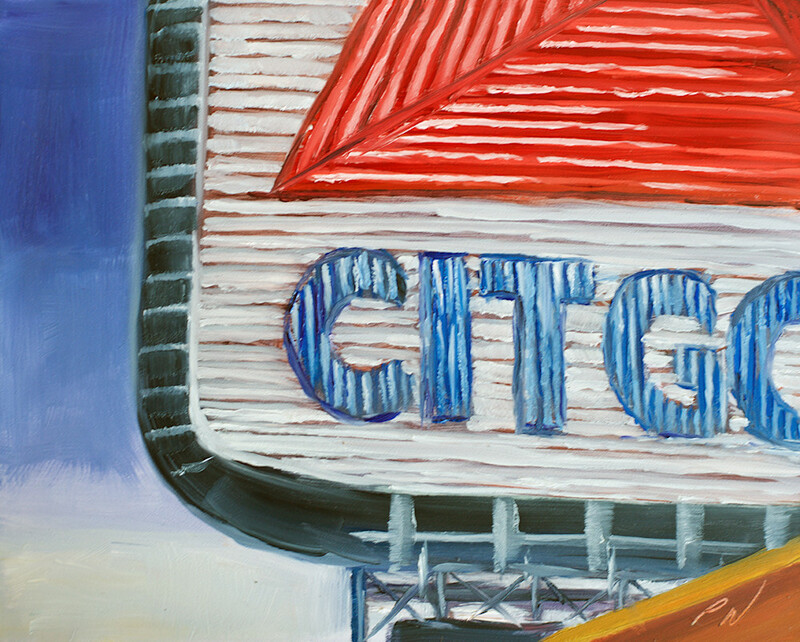 So, I had much of the day to do other plein air paintings nearby before starting by own CITGO painting. My first 8x10" painting was looking east from Kenmore. It was a chilly day and for a brief period it was cloudy was a band of clouds moved overhead around noon. I then turned around and painted looking west at the Kenmore bus depot. It was an interesting motif with a lot of activity and a gradually setting sun. 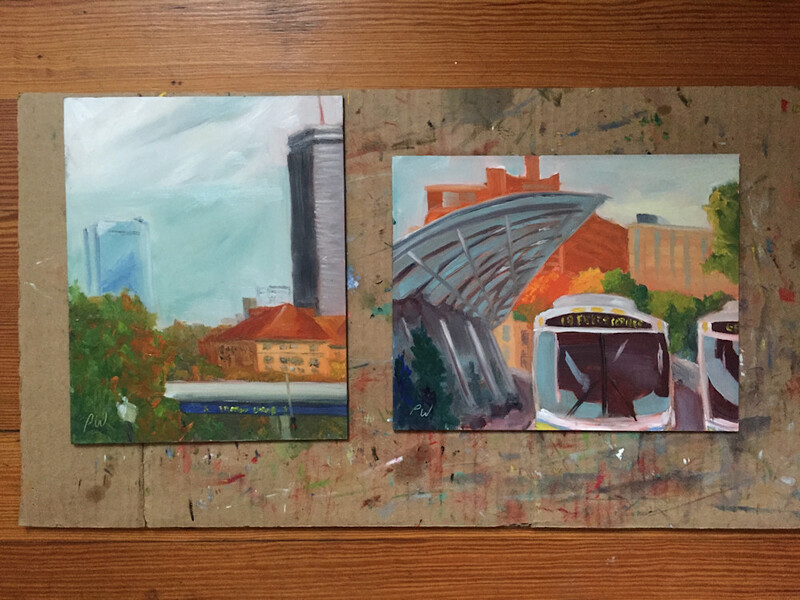 The two paintings I banged out came out well, especially considering how cold I was getting! 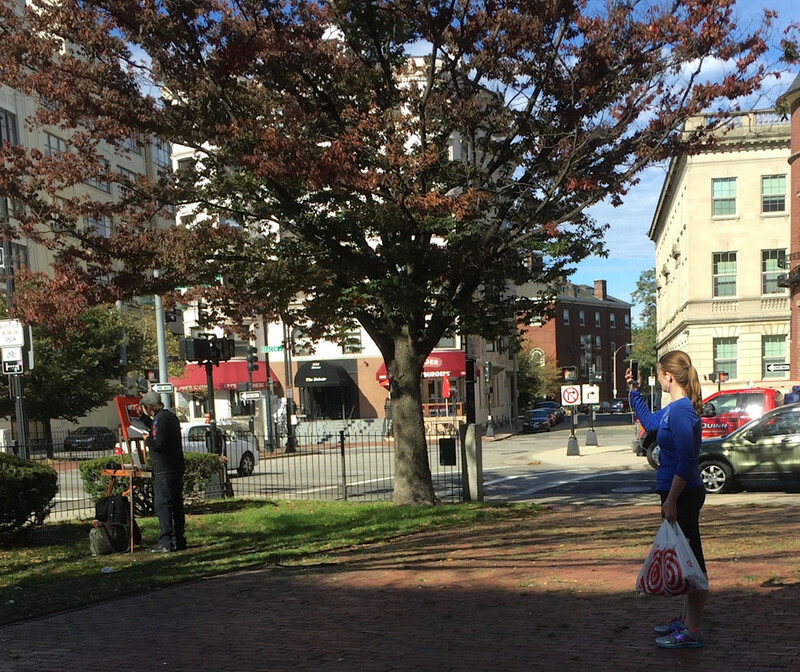 During the day we had plenty of passersby to take photos or talk. 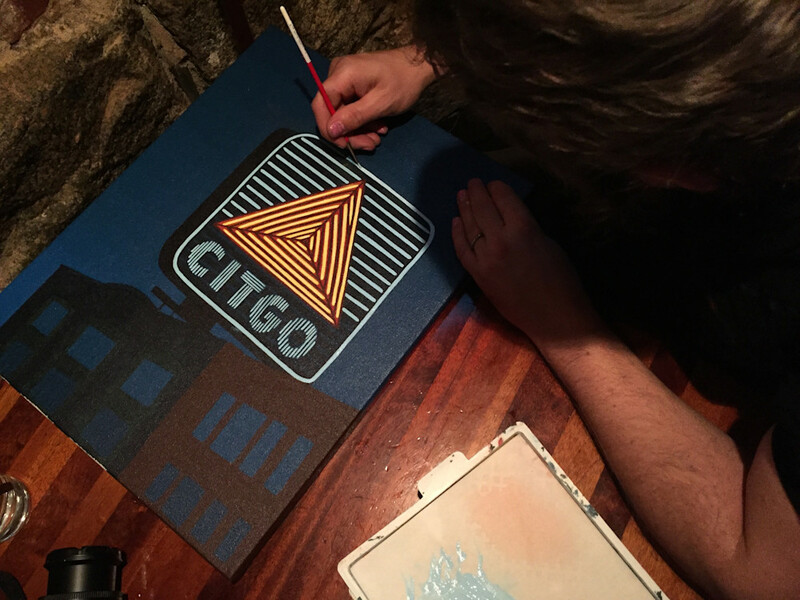 We stayed painting until the lights of the CITGO sign came on. 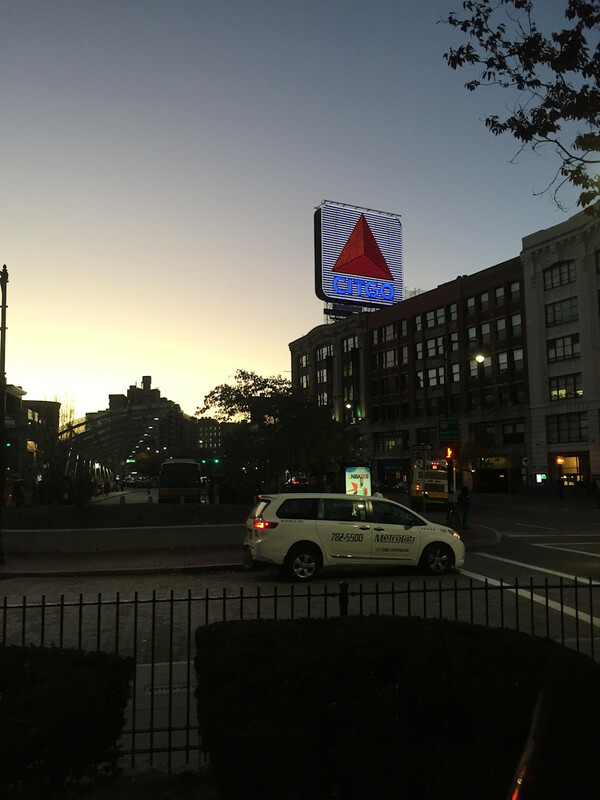 I had to stay out there to see what the sky, neon lights and other components of my motif look like at night. However, it was too dark to paint where we were so we moved it in to the Corner Tavern. Borbay got to work. As did I, next to him. 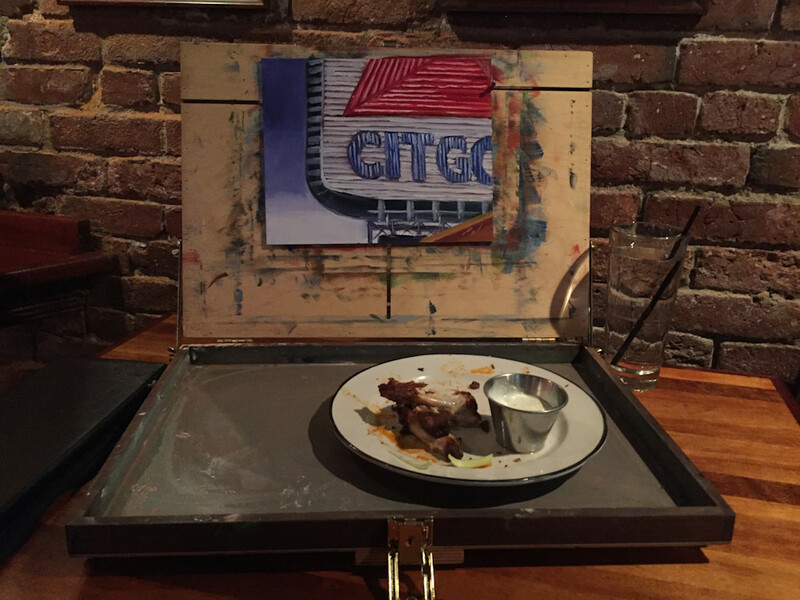 I set up my easel on the table and ate an order of wings. At this point, my painting was done. Borbay went out the next day to finish up his painting. 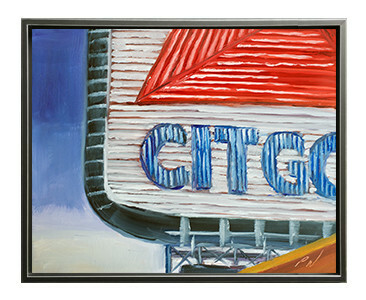 You can read his blog post about this painting HERE. Borbay, I had a blast, wish we could meet up for a full day of painting together every week. 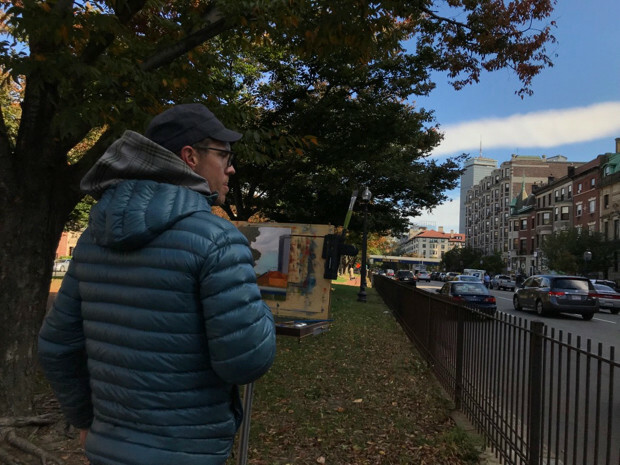 If you can't already tell, I think plein air painting is a blast. I have so much fun, especially with friends. So here we are - framed up and ready to send off to your home! To purchase please follow this LINK.